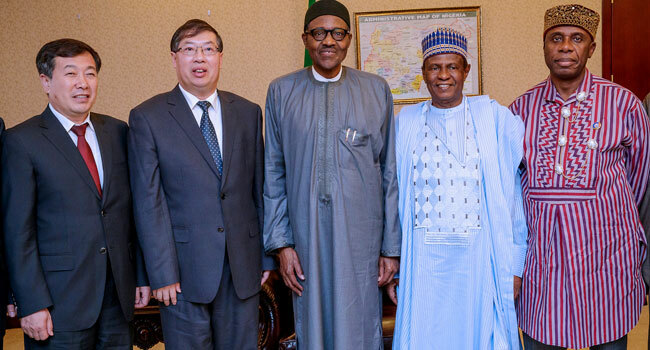 President Muhammadu Buhari over the weekend met with the President of China Railway Construction Corporation (CRCC) Limited, Zhuang Shangbiao and some officials of the company. The meeting was held in Beijing, the capital city of China. 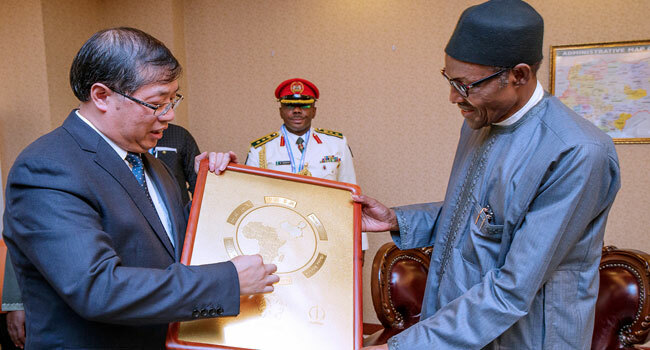 This is part of President Buhari’s visit to China to participate in the 7th Summit of the Forum on China-Africa Cooperation (FOCAC). 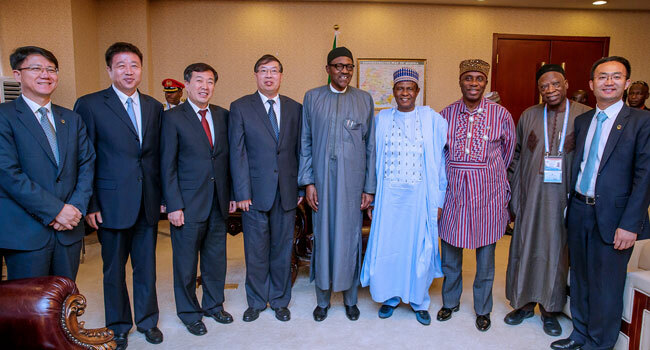 Nigeria’s Minister of Transport, Rotimi Amaechi; Ambassador of Nigeria To China, Ambassador Baba Ahmed Jidda and CRCC Chief Economist Zhao Jinhua were also at the meeting. Other officials at the meeting include the Managing Director Of China Civil Engineering Construction Corporation (CCECC) Nigeria Limited, Li Jianhui; Senator, Representing Nasarawa West, Nasarawa State, Abdullahi Adamu; Executive General Manager Of Overseas Development Department, CRCC, Cao Baogang, among others.